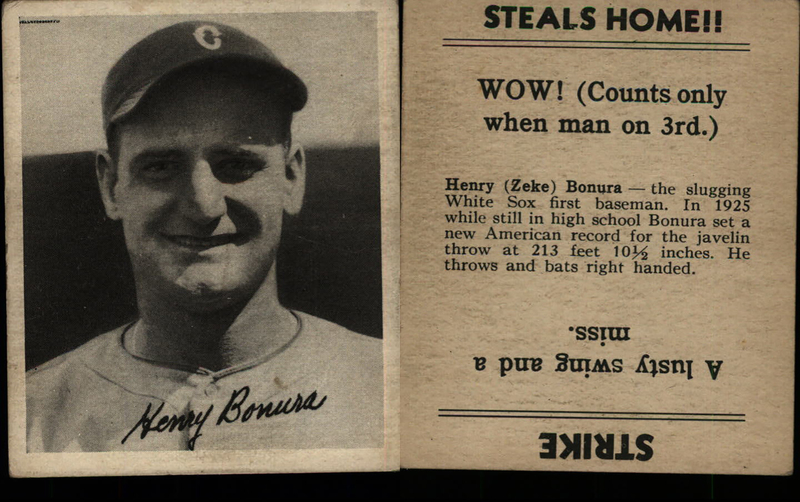 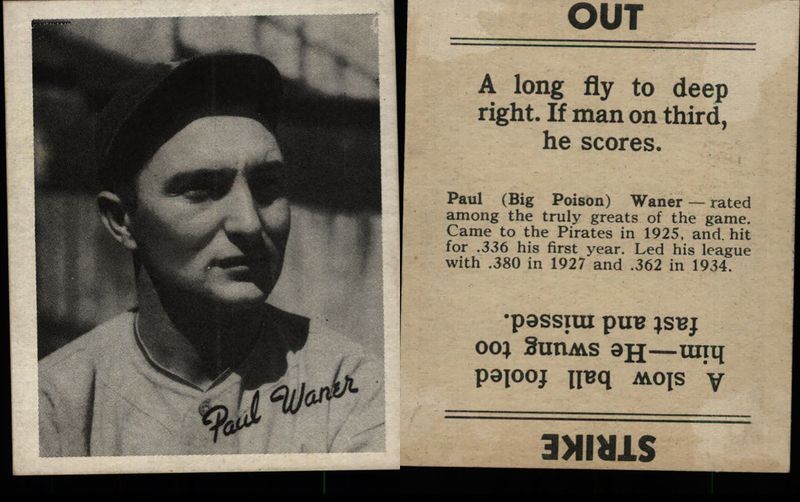 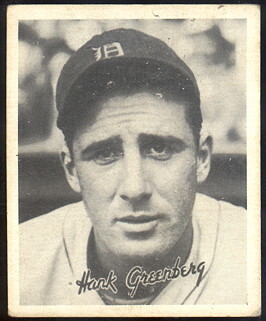 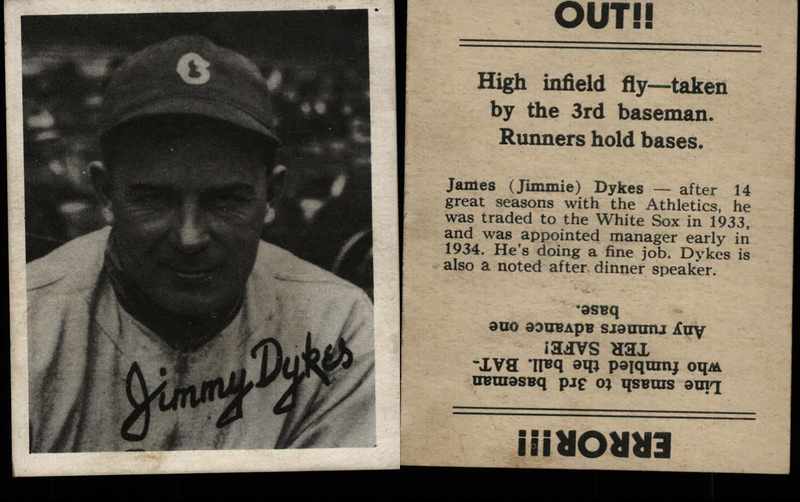 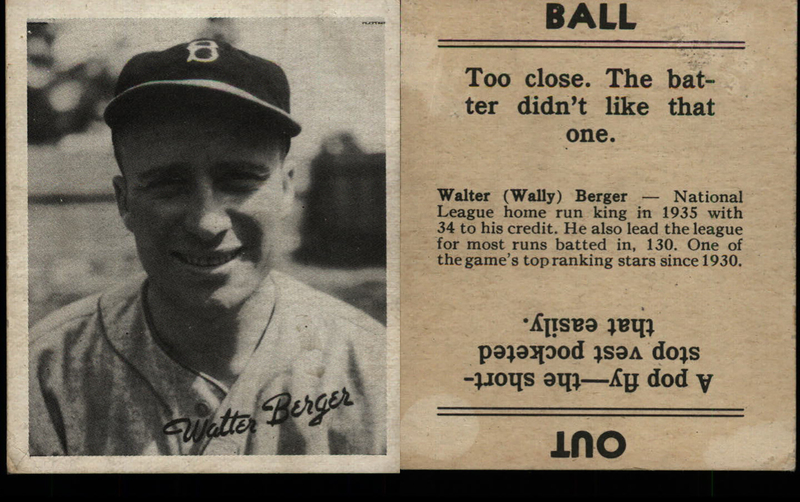 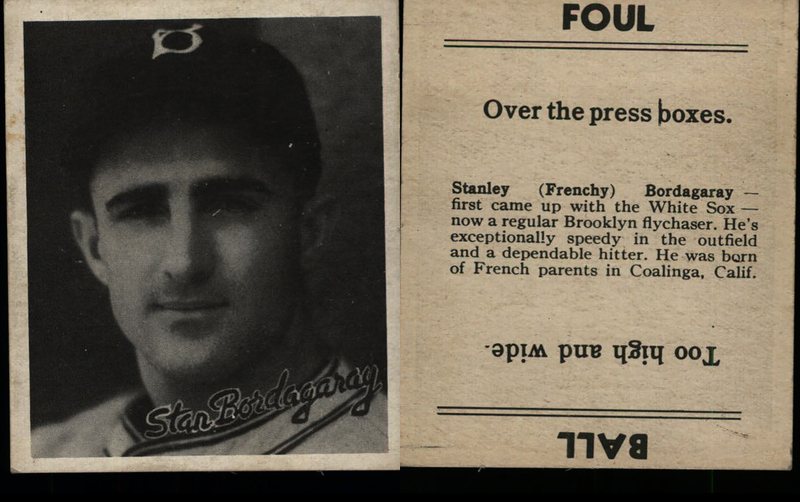 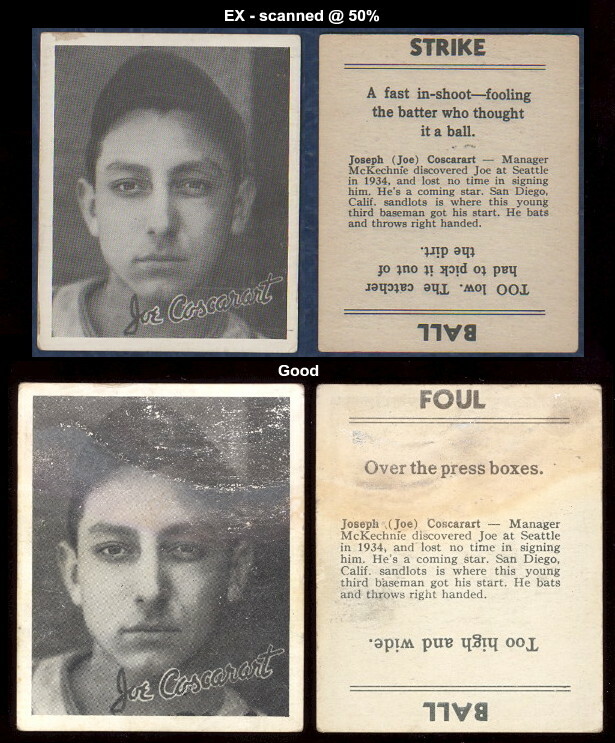 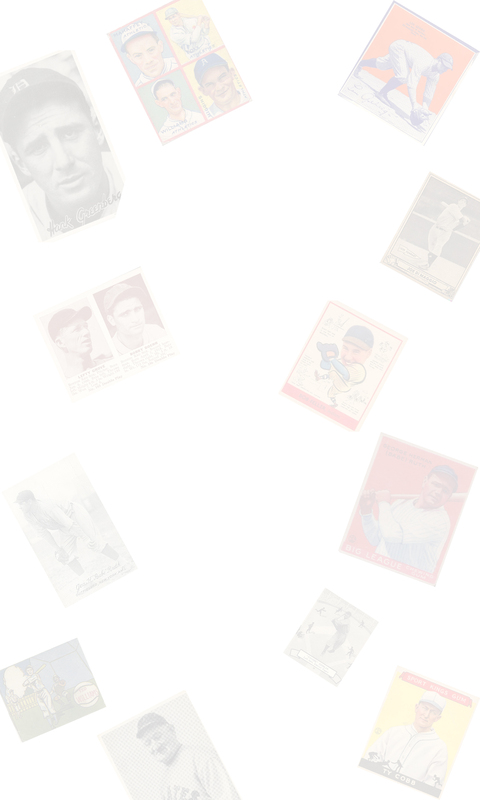 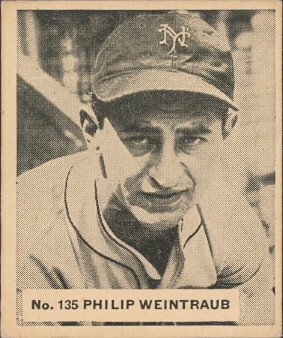 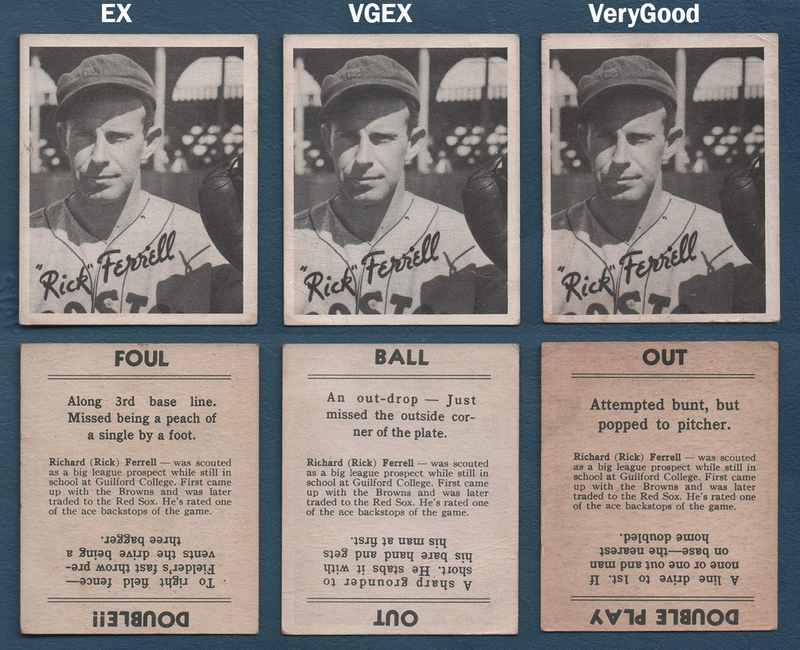 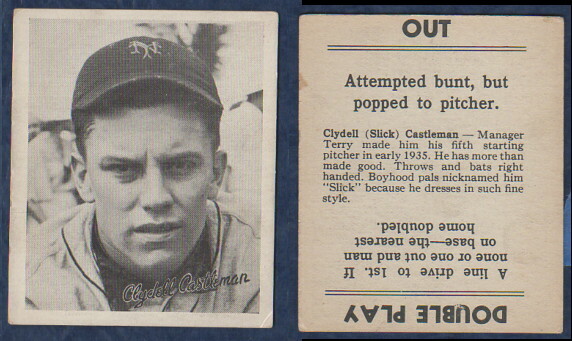 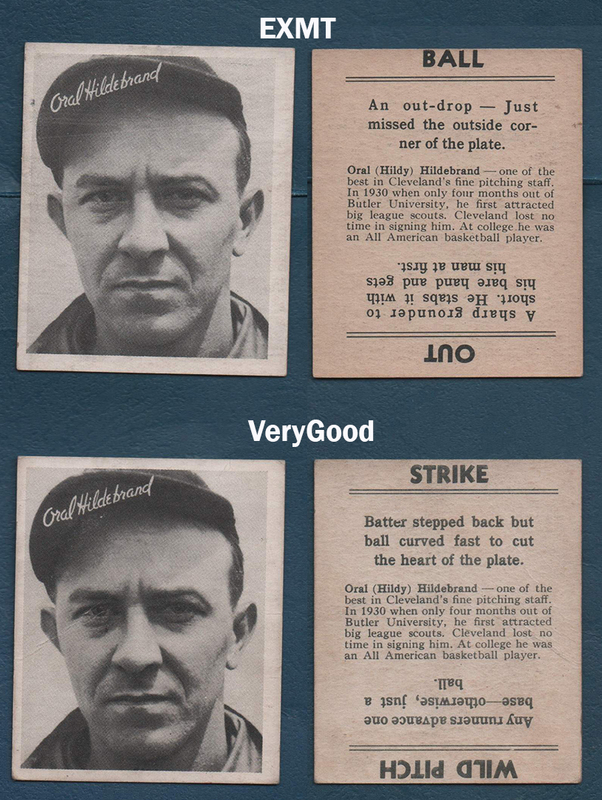 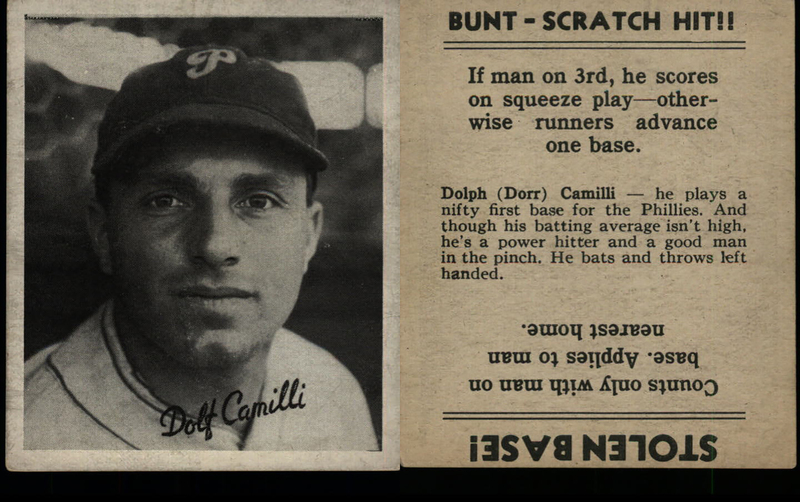 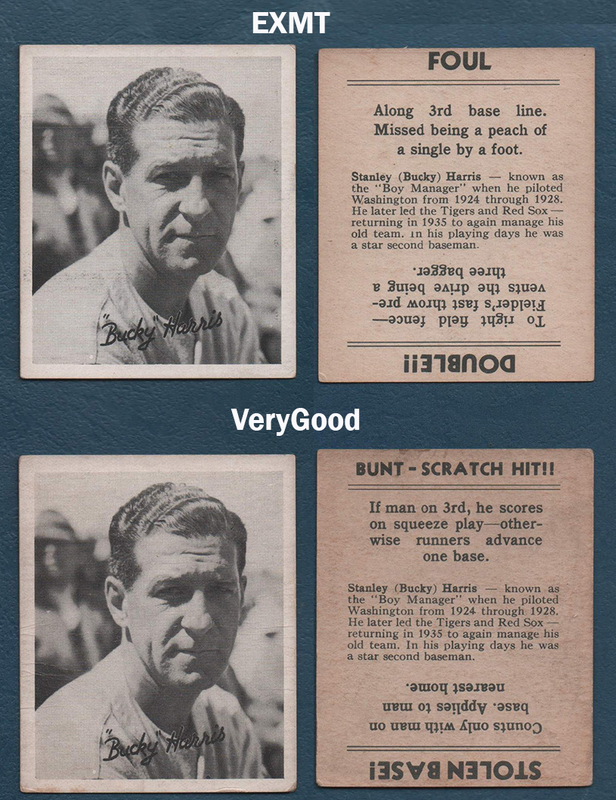 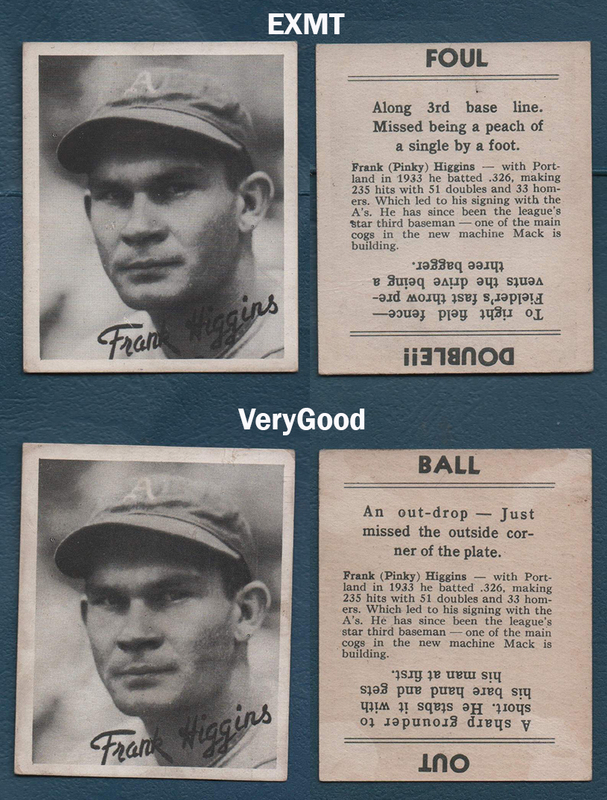 This page features Goudey cards from 1936 (R322). 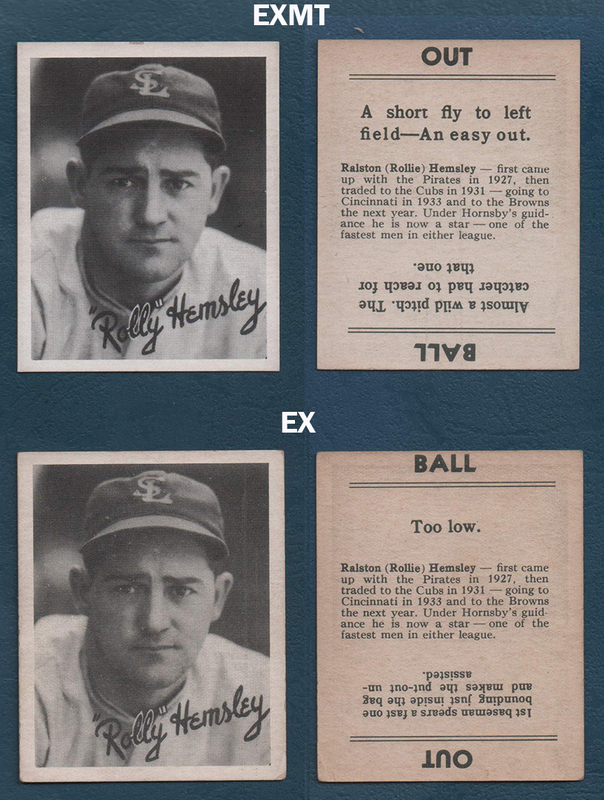 Cards in this set of 25 measure 2-3/8" X 2-7/8" and have a facsimile autograph on the front. 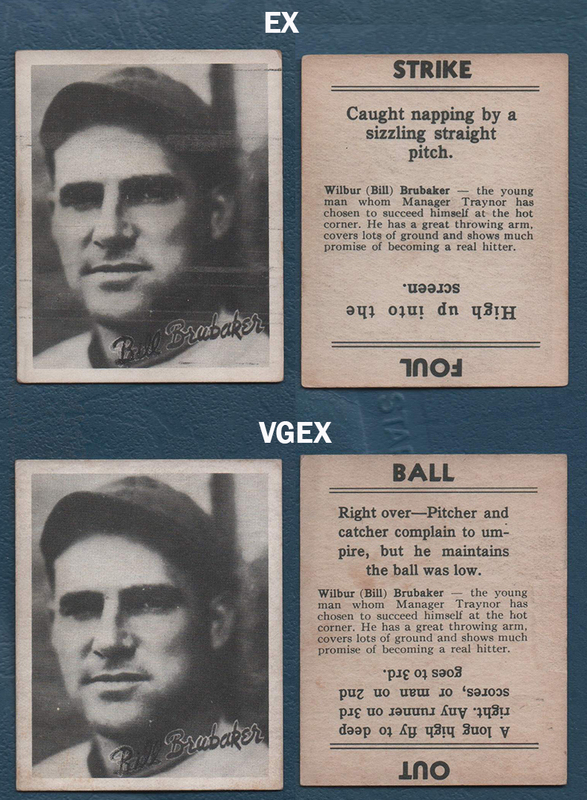 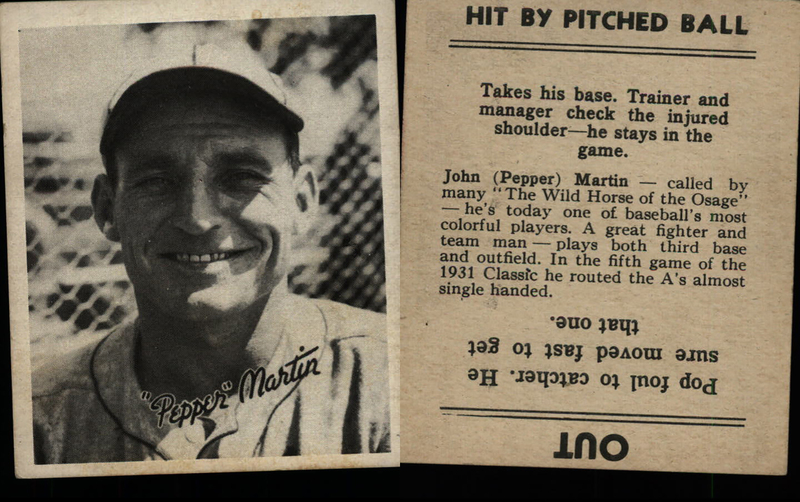 The backs contain a brief player bio and were designed to be used to play a baseball game with different situations on the back of each one. 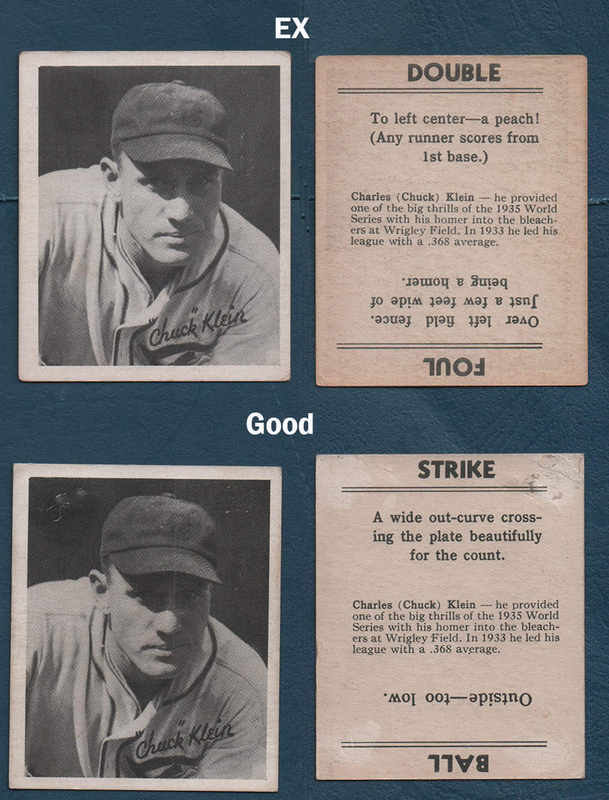 Numerous front/back combinations exist in the set.